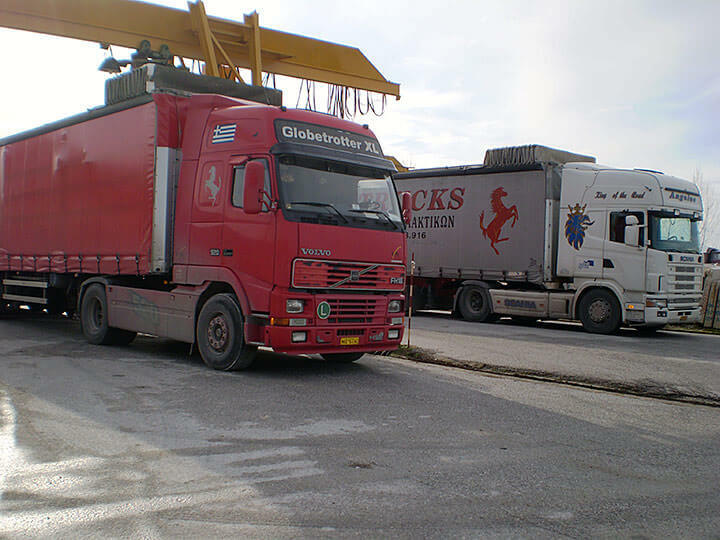 The commonest mode of transport of goods within Europe is usually carried out by international transport trucks. 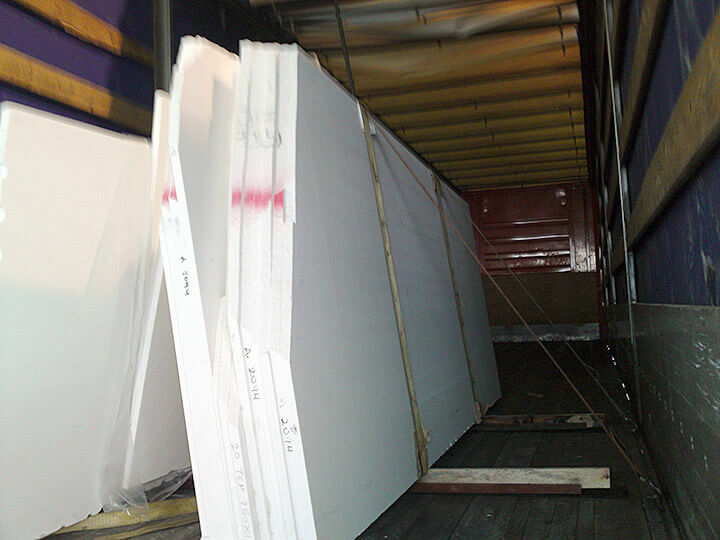 We are able to load and deliver partial or full shipments to our customers and to achieve the result both in terms of transit time and cost. 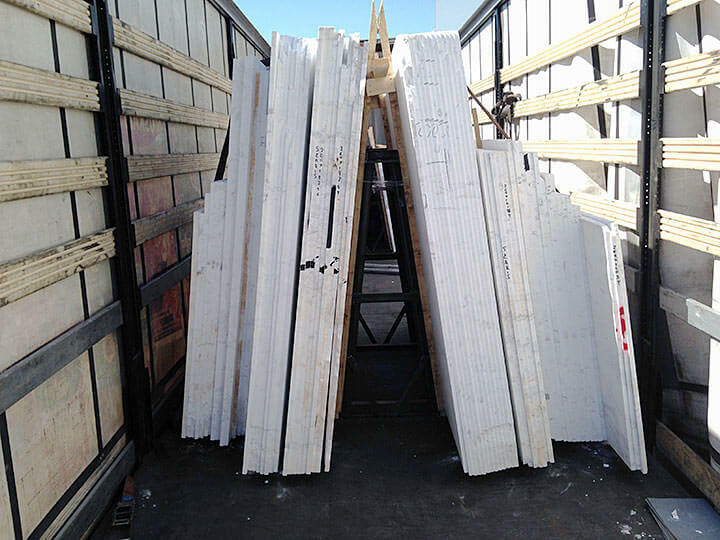 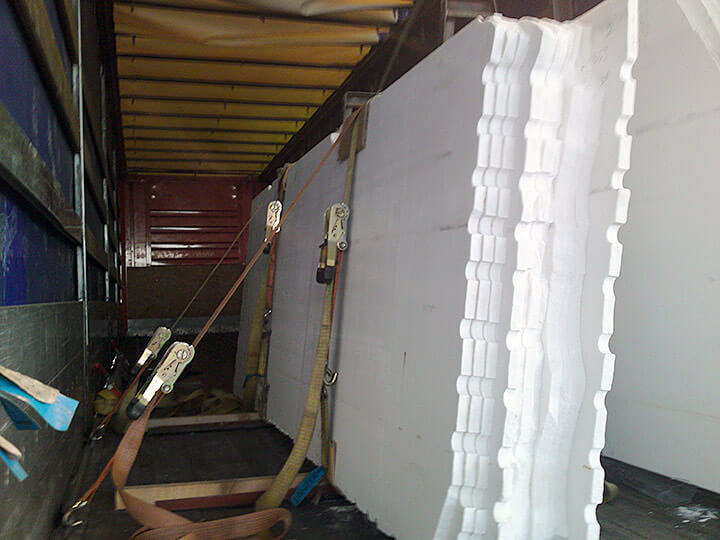 We guarantee safe transportation of our merchandise as our know-how allows us to load and secure marble on trucks. 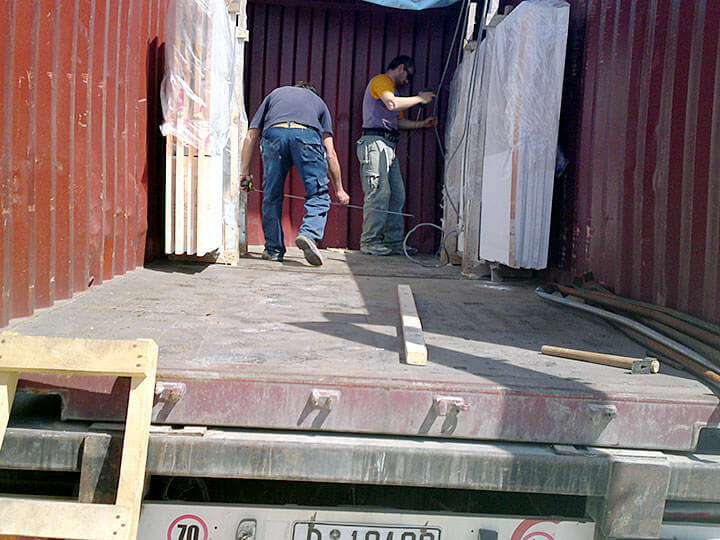 Besides we have carefully established relationships with reliable and skilled international transporters. 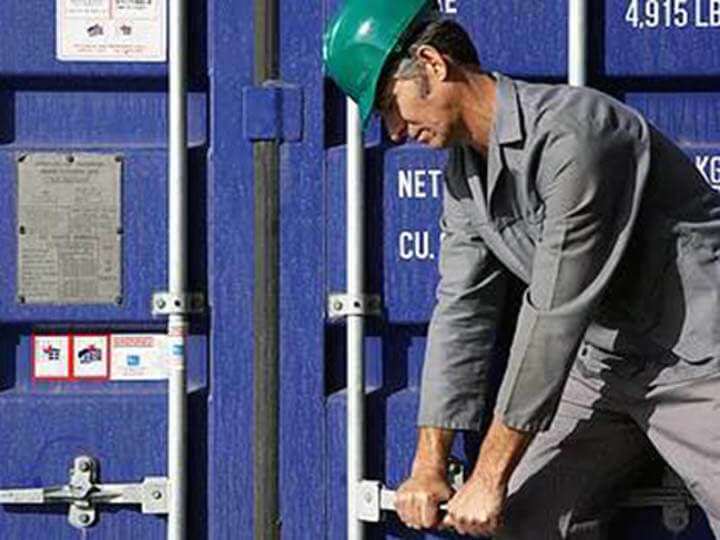 Our company has established long-term relationships with many Shipping Companies. 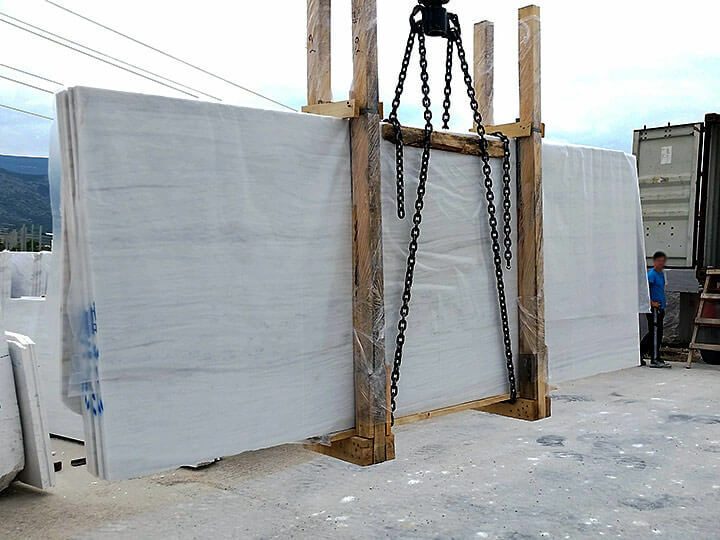 We can plan marble transport by container and deliver to every part of the world.